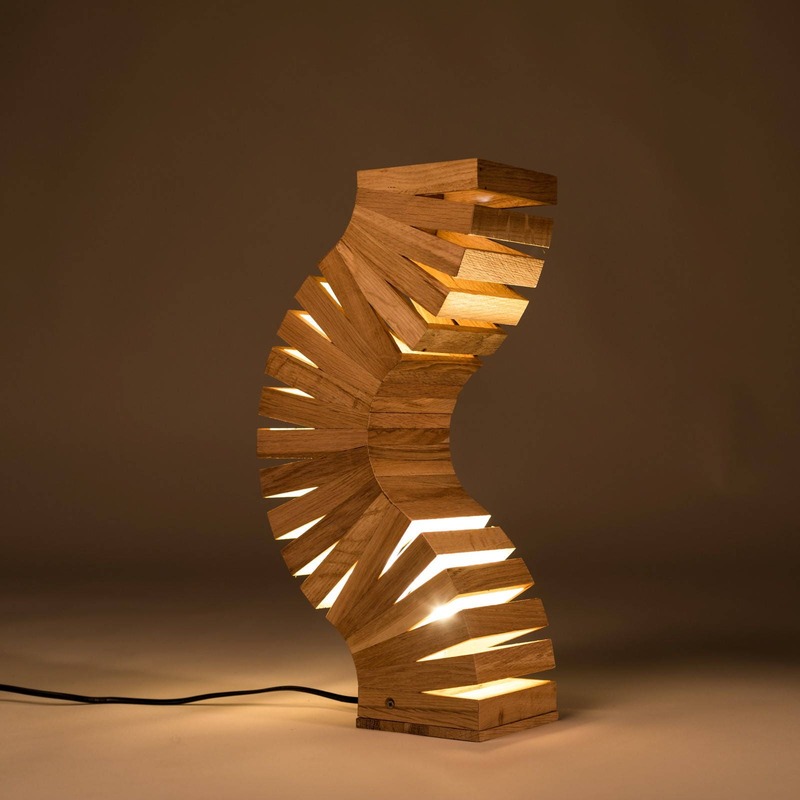 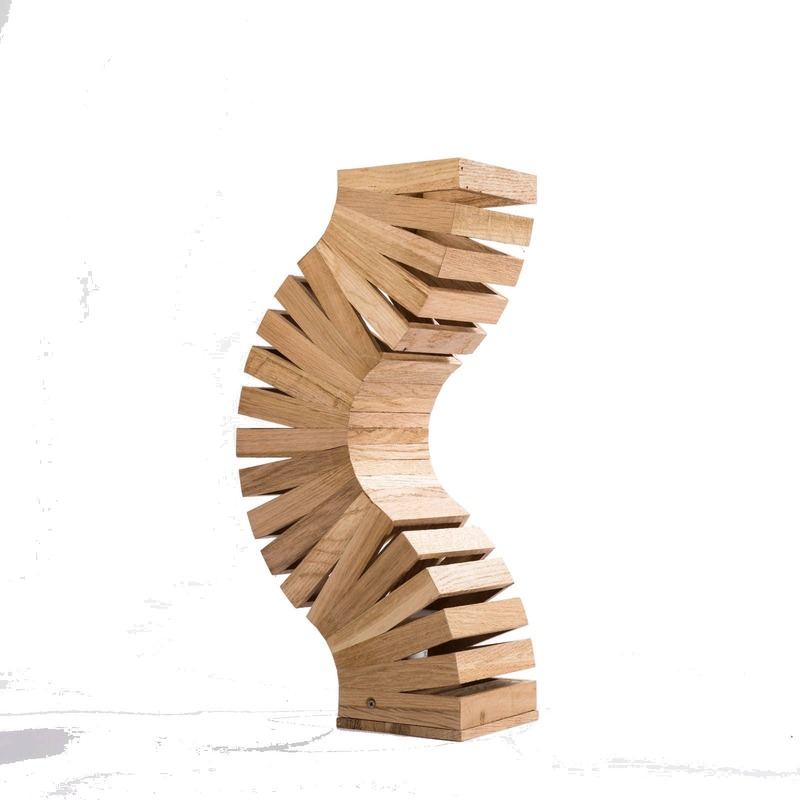 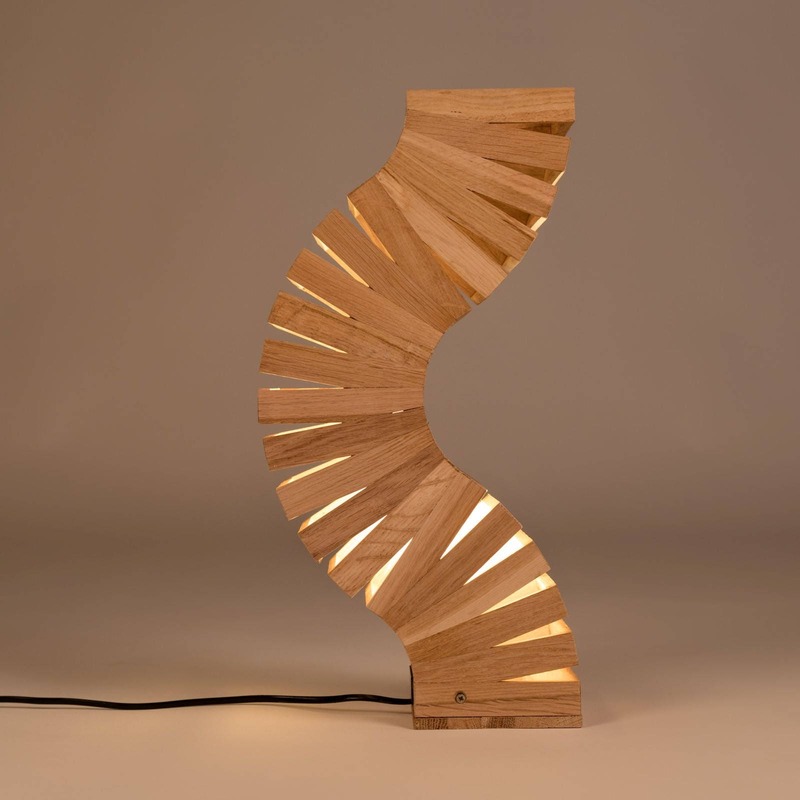 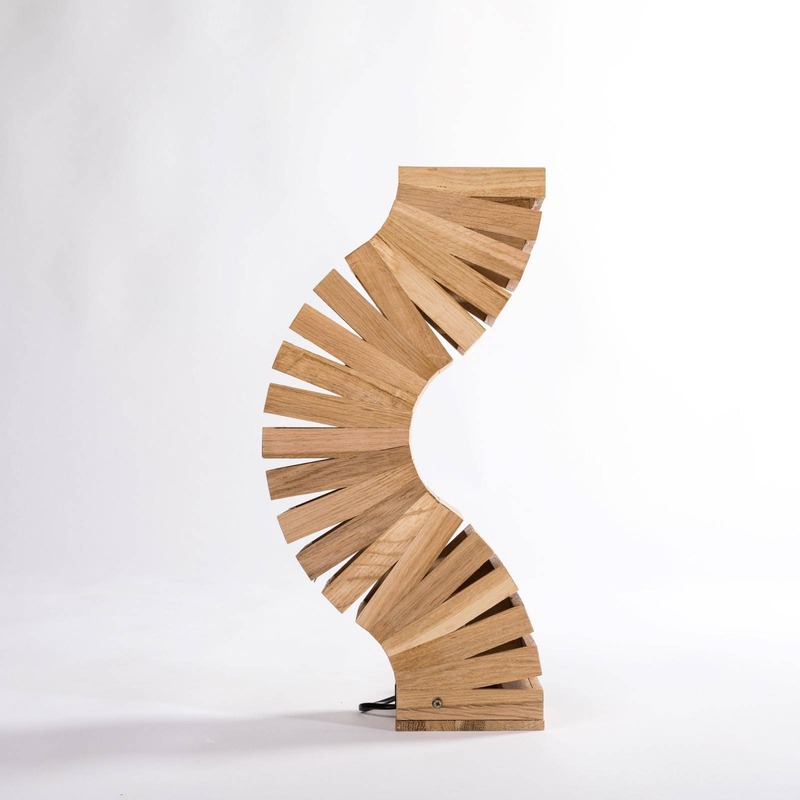 wooden design lamp made from recycled oak wood, unique design, table or floor lamp, twisted like a spine. 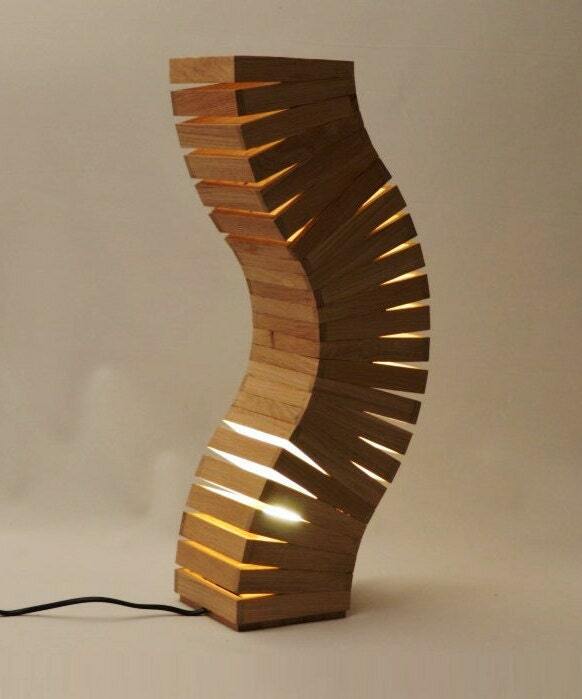 beautiful curved lines, romantic and warm light. 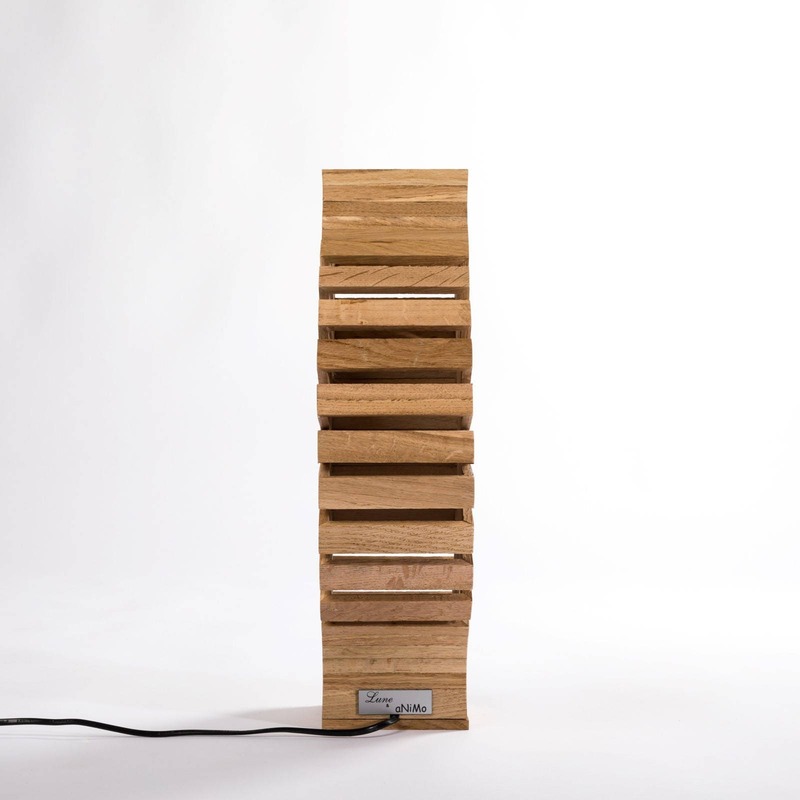 Uses GU10 230v spot, power-saving lamp included. 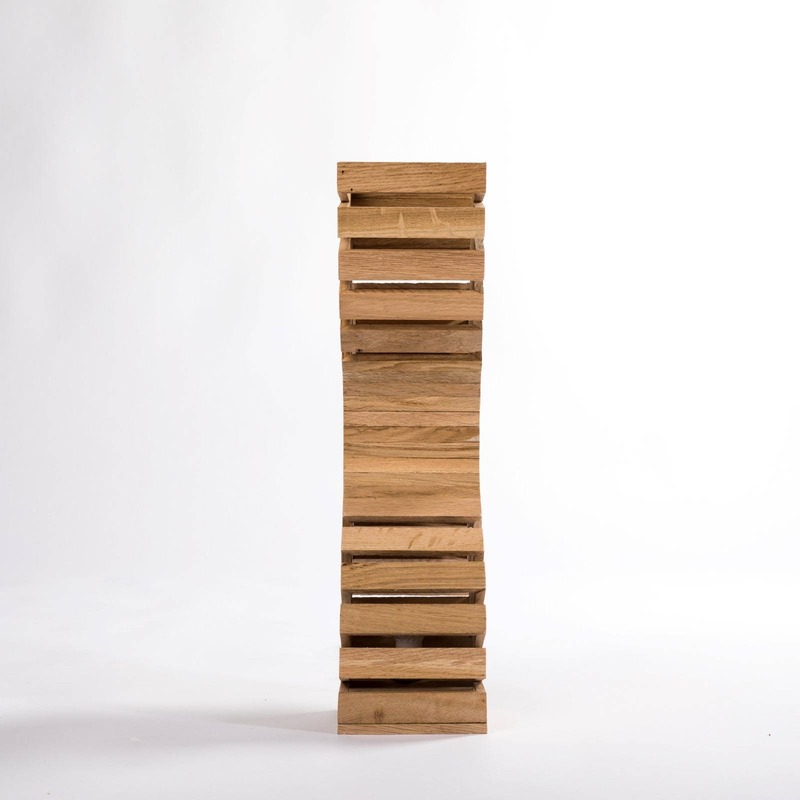 Made with care and shipped anywhere in the world.